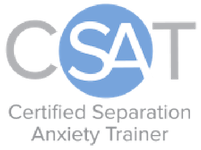 The following steps are how the cat or dog training consultation process works for all issues except separation anxiety which is slightly different – click HERE to see how a separation anxiety programme works. Call, email me or fill out the short form on my contact page to arrange a time for a FREE chat. We will discuss the problems you are having with your dog or cat and see how I can help. 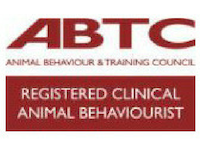 The physical health of your dog or cat is crucial in any behavioural modification or training programme. No-one can learn new ways of behaving if they are not feeling well. If your dog or cat has not seen a vet for over a month I will ask you to take her for a check up to make sure she is fit and healthy. I will also ask your vet to fill in a referral form and to provide me with your pet’s full medical history if possible. This will give me valuable information about her past health and will give me a fuller picture of her current behaviour. I will send you a detailed questionnaire to fill in. This gives me further insight into the problems you are facing and give me important information about her lifestyle. Behaviour is not like a cut that you can just put a plaster on, it is about the whole dog or cat so everything about her is important. Where does she sleep, what exercise does she get, what does she eat and so on. You’d be surprised, even the smallest change can have a huge impact! The cat or dog training consultation will take place in your home and will last between 2 to 3 hours. I like to see your cat or dog in her own environment and be able to meet the whole family. Everyone has their own view of what is happening and hearing things from a different perspective can be very enlightening. It is also important to see how your cat or dog interacts with everyone in the household. We will discuss the problems in detail and start the modification and training programme. You will also learn more about why your dog or cat behaves the way she does and what we are going to do about it. 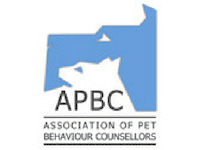 A few days after the car or dog training consultation I will send you a comprehensive written programme explaining the reasons behind your dog or cat’s behaviour. More importantly, I will explain what we are going to do about it. Everything we discussed at the consultation will be highlighted along with instructions and handouts on how to work with your pet. I will email the programme back to you and arrange a time for the second consultation which will be done via video conferencing. At this consultation we will go through the entire programme so I can make sure you are clear about everything. I will set you up with an on-line diary which I will check daily or weekly (depending on the problem). The diary will contain your daily/weekly instructions on the work you will be doing. You will comment on how your dog or cat is getting on and any changes that have happened. I may ask you for some video of the work and if needed will phone you to discuss things. During our time together you are also free to call or email me if there is anything you are not clear about, something has changed or you need further help. I fully believe that all my clients and their dogs and cats should have all the support that they need, whether this is in person, by email or by phone. For all the time that we work together I will be there to support you, answer your questions, listen closely to your problems and give you the best advice possible. I can’t tell you how long things will take because every dog or cat is an individual. I Work with patience I can help you and your cat or dog lead happy lives for many years to come. Our household and especially our dog owe Ingrid a great debt of gratitude – her advice was spot on and Samson’s behaviour has radically improved. She is thorough, conscientious and very good at reading not just the animal but also his wider context and the people around him! The fact that we know we can call on her for help in the future is also very important and appreciated! All the best.